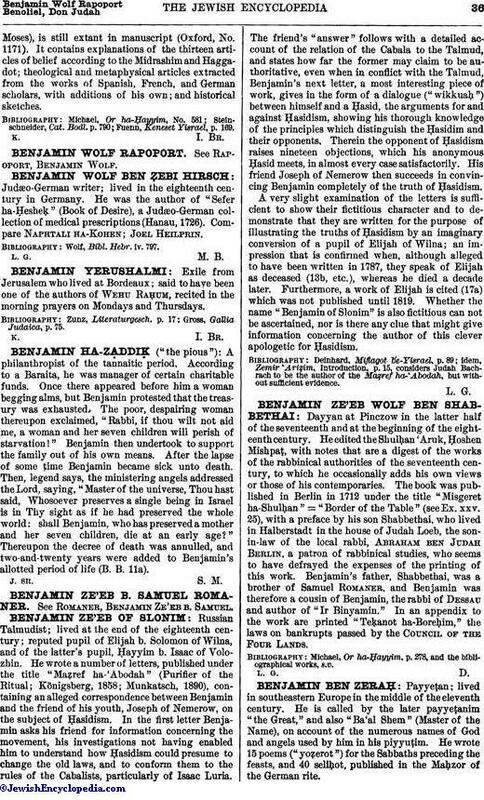 Judæo-German writer; lived in the eighteenth century in Germany. He was the author of "Sefer ha-Ḥesheḳ" (Book of Desire), a Judæo-German collection of medical prescriptions (Hanau, 1726). Compare Naphtali Ha-Kohen; Joel Heilprin. Wolf, Bibl. Hebr. iv. 797.